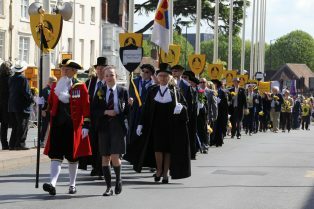 Shakespeare’s Celebrations is an initiative that is jointly led by Stratford on Avon District Council and Stratford-upon-Avon Town Council, developing the traditional Shakespeare’s Birthday Celebrations in Stratford-upon-Avon to make them sustainable, so reducing pressure on the local public purse. Our main trading address is Shakespeare’s Celebrations, C/o Stratford-upon-Avon Town Council, Town Hall, Sheep Street, Stratford-upon-Avon, Warwickshire, CV37 6EF. Stratford-upon-Avon Town Council’s VAT number is 273610371. If you have any concerns about material which appears on our website please contact us.